DURHAM, N.C., June 8, 2011 (SEND2PRESS NEWSWIRE) — Heart Imaging Technologies, LLC (the “Company” and dba “WebPAX”) is pleased to announce that the United States Patent and Trademark Office (USPTO) has granted the Company another key individual patent, further strengthening its patent portfolio relating to zero-footprint technologies necessary to view diagnostic-quality medical images in a standard Internet web browser. The new U.S. Patent Number 7,958,100 covers the use of web browser redirection routing technology to provide efficient and seamless web access to medical images that are stored in different geographic locations. The Company holds three additional U.S. patents and five patent applications pending, all of which underlie the Company’s WebPAX® Medical Image Management Systems, a commercialized and FDA-approved technology that enables viewing and analysis of diagnostic-quality medical images in a bare-bones web browser with full PACS capabilities and that seamlessly integrates into EMRs, EHRs and web-portals. The parent application was filed in 2000. Before allowing the patent USPTO examiners considered thousands of related patents, journal articles, and other publications dating back to 1987, of which 114 were specifically cited. No prior art was found that described how web browser redirection could be used to manage medical images across different hospitals. “When we filed this patent everyone was focused on using desktop applications for viewing medical images within a single hospital. We were the first to describe how to design a system that provides global access to a distributed database of medical images by leveraging the now-ubiquitous World Wide Web framework,” said co-founder Robert M. Judd, Ph.D. The cloud computing revolution is poised to have a major impact on the healthcare IT market, with the most profound disruptive influence in medical imaging, a $170 billion a year market. Despite the DICOM standard, the medical imaging industry is replete with technical fragmentation, inoperability dysfunction and sharing inefficiencies. Consequently, an estimated $30 billion in the U.S. is spent on unnecessary medical imaging, about $15 billion of which is due to redundant procedures that result from a physician’s lack of access to prior imaging exams. The Company’s WebPAX® technology allows the efficient sharing, viewing and analysis of medical images from any DICOM source (modality or PACS), eliminating the time and cost associated with redundant exams, avoiding excessive radiation exposure for patients and obviating the costs and inefficiencies of shuttling around and managing CDs. “Customer demand from hospitals, imaging centers, physician practices, payors and ACOs, combined with the availability of Web 2.0 and cloud computing technologies, will make the days of traditional PACS, one-off viewers and extensive infrastructure associated with image management numbered,” said Dr. Judd. The electronic medical record is intended to serve as the sole integration point of all types of medical data in order to provide a cohesive and comprehensive view of the patient. However, despite the critical importance of medical images to the entire longitudinal medical record, integration of images into the EMR has proved elusive for a variety of technical, territorial, cost and work-flow considerations. As a PACS-vendor neutral and web-based architecture, the WebPAX® platform complements and maximizes the utility of any existing PACS and EMR/EHR investments by providing zero-footprint access to all medical images and videos through a simple web-link (URL) within a third-party EMR/EHR system that automatically points to the images associated with the specific patient imaging procedure which can be viewed with diagnostic quality from any web-connected computer or device. Founded in 2000 and headquartered near North Carolina’s Research Triangle Park, WebPAX provides zero-footprint, web-based medical image management technology and services to health care systems, large hospitals and private clinics as well as drug and device companies sponsoring multi-center clinical trials. 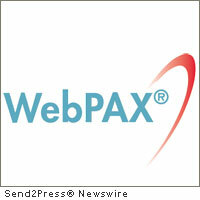 Worldwide, WebPAX® systems currently provide secure web browser access to over 500 million medical images. For more information, visit: http://www.heartit.com . Original Keywords: Heart Imaging Technologies LLC, WebPAX, diagnostic-quality medical images, Medical Image Management Systems, Robert M. Judd, SaaS, US Patent Number 7958100, PACS capabilities and that seamlessly integrates into EMRs, EHRs and web-portals, cloud computing technologies, North Carolina business news, hospitals, HeartIT Heart Imaging Technologies Durham North Carolina DURHAM, N.C.
REFERENCES: Business News, Heart Imaging Technologies LLC, WebPAX, diagnostic-quality medical images, Medical Image Management Systems, Robert M. Judd, SaaS, US Patent Number 7958100, PACS capabilities and that seamlessly integrates into EMRs, EHRs and web-portals, cloud computing technologies, North Carolina business news, hospitals, HeartIT Heart Imaging Technologies Durham North Carolina DURHAM, N.C.